Today is a milestone! It’s been exactly a year since the first dogshaming post creeped up on Tumblr. 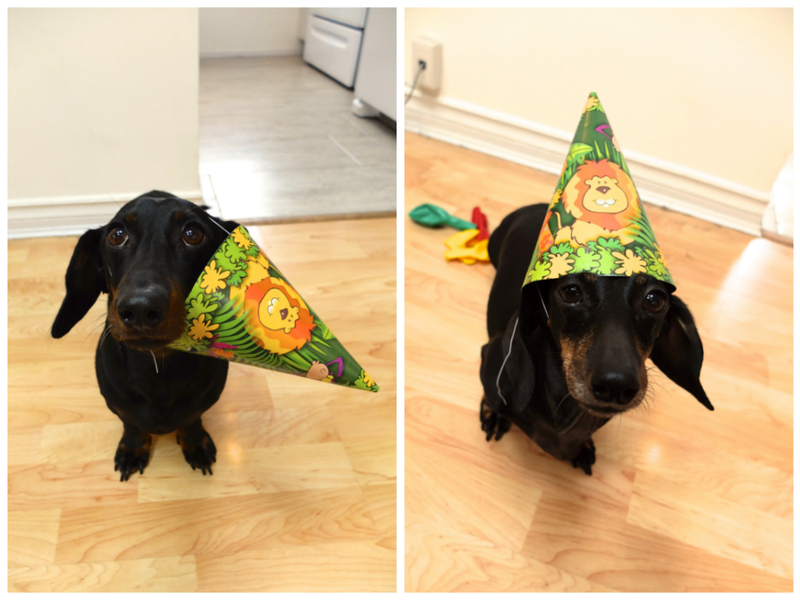 We wanted to celebrate with balloons and party hats, but our wiener dog Beau, the original dogshaming pooch, absolutely hates balloons (and party hats too, apparently! ); you can see them deflated in the background with our other sweetheart, Dasha. Thank you for the support, feedback, and laughter. Without you, faithful readers, we’d just be some weird lady posting dog pictures on the internet. So, in order to thank you guys for being such amazing fans, we’re publishing a book! This book will feature hundreds of never-before-seen submissions! It comes out on September 24th, but…if you order it before then, we’ll send you a bunch of free gifts! We’ll send you a dog shaming button, some dog shaming felt-tip markers, and even a cardboard speech bubble to write down your dog’s shames! Click here to pre-order! What if I’ve already preordered? Happy Birthday! I love reading the dog-shaming posts every morning. It’s become part of my routine 🙂 Keep up the great work and wishing you many, many more birthdays! Congrats on the one-year mark! I have this site on my Favorites list and it’s bookmarked on my tablet!! Love reading and seeing how “bad” some dogs can be…and how sweet they can look when being “bad”!! Makes me love my doxie and his naughty habits more! Thanks for the laughs! Thanks for the laughs, the site made me realize what a good dog I have. Congratulations! I love your website! It brings a smile to my face each and every day. You guys rock. Love the site! Thanks for being there when I need a laugh or proof isn’t not just our dogs that do bad things! Congrat!!!! whoo hoo!! makes my day every day to see others living the dream… and cleaning up the messes our furry ones make. Thanks for dreaming this up!!! way to go! Happy one year anniversary! My husband and I celebrate our 44 th today. August 16 is a great day for an anniversary. Thank you for giving me my daily laugh! That’s great. This site is the best! So much fun, although mostly I support the pup. Lol. And have to ask him or her if her family should be wearing the shame poster, instead. Lol. In times of trouble, this site and all the dog owners, participating, are doing a great thing to pick people up. Non dog owners love to see these pic’s too. How come I’m not surprised “Dog Shaming” started with a Dixie! Congrats on your 1 year anniversary! Dog Shaming just makes my day brighter and makes me laugh every time. Thanks for starting such a wonderful site! 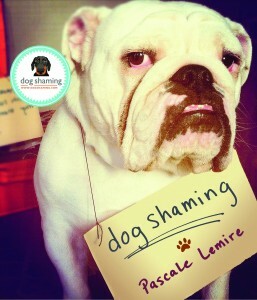 Is there a way to find out of my pup and her shaming is in the book? I submitted quite some time ago (and haven’t seen it on the site) but I can only imagine how many submissions you get in a day. Best website ever! Thank you so much!! Is the free gifts still available? I have my purchase order, but I don’t see the form to fill out. My favorite part of my day is to check in with our funny furry friends! You are so awesome! The sweet girl that loved to hoard misc household items… like scissors and knifes! THANK YOU for all of the fun!